Sydney, do you GIVVA FORK? If you live in Sydney and enjoy the eclectic dining scene, but sometimes find it difficult to narrow down what choices you will make (Thai! Polish! Mexican Street! American Diner! Organic Vegan! ), why not let your charitable impulses lead your stomach? An initiative called ‘GIVVA FORK’, created by Dominic Greenwood, has launched in multiple Sydney eateries and will benefit the World Food Programme. This particular campaign is concentrated on schoolchildren in rural Laos, where every second child is undernourished. Pay an optional “forkage” fee: we all know of corkage – the fee we pay restaurants when we BYO wine for providing us with glasses etc. 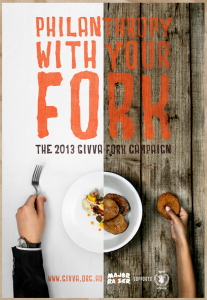 Forkage is an optional fee for using the restaurants forks – all the proceeds of course, will be donated to the program. $6 will provide a child in Laos with school meals for a month, and will also give you an official ‘GIVVA FORK’ stainless steel fork. And just where will you find a GIVVA FORK restaurant? Orto Trading Co., Surry Hills; Ampersand, Surry Hills; Mad Pizza, Surry Hills, Potts Point, Darlinghurst, Bondi Beach and Newtown; Olio, St Leonards; Michelini, Crows Nest; Not Bread Alone, St Leonards; Ham, Cronulla; The Dip at Goodgod. 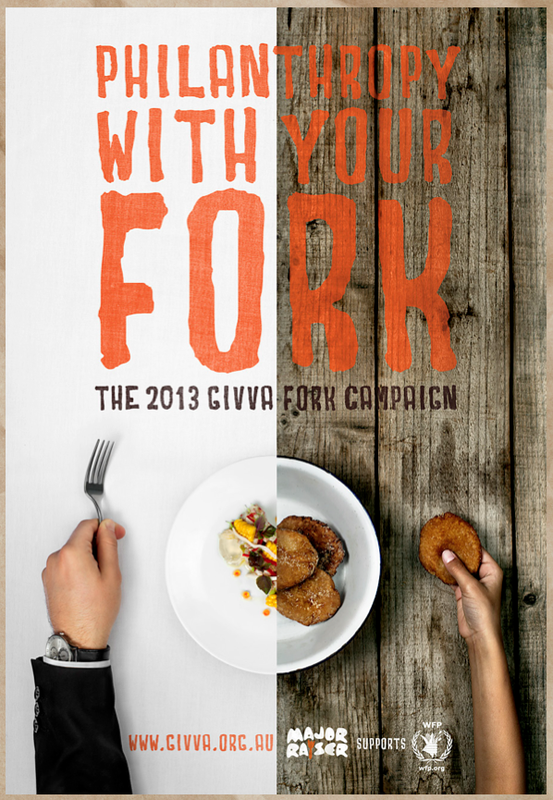 More information about the program and restaurant partners can be found at the GIVVA FORK website. This entry was posted in Get Involved and tagged food, get involved, sydney. Bookmark the permalink.